Total value of all sales. This includes Net Product Sales and service sales. 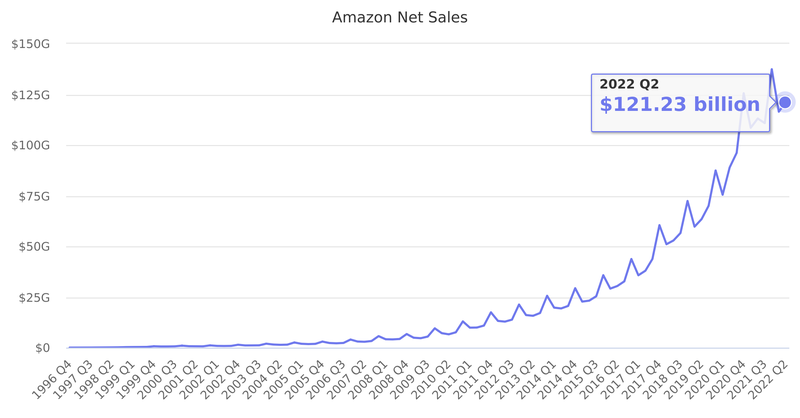 North America sales, International sales, and AWS (Amazon Web Services) sales combined. Last reported quarter 2018 Q3 it was $56.58 billion, up by 29% year-over-year from $43.74 billion. From $135.99 billion in 2016 it increased by 31% to $177.87 billion in 2017.